Have you gone and picked out your pumpkins yet? 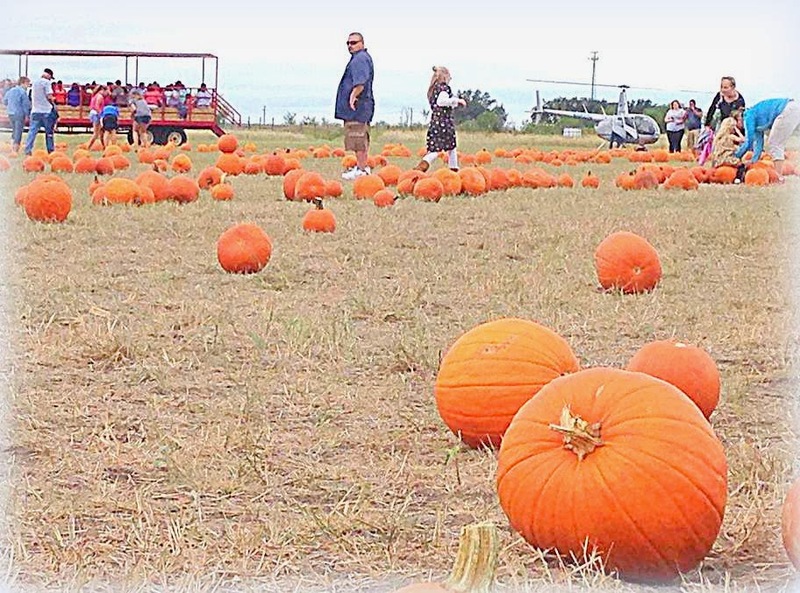 It's pumpkin season once again and that means it's time to start mapping out which pumpkin patches you're going to visit this year. 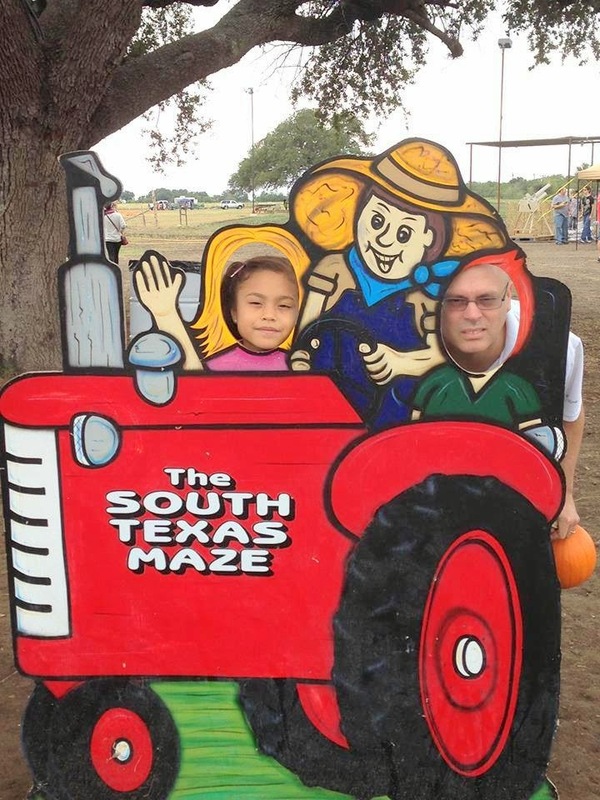 One of my family's favorite pumpkin patches to hit during pumpkin season is the South Texas Maize in Hondo, Texas. We go there every year since we moved from California. It's our favorite farm so far! 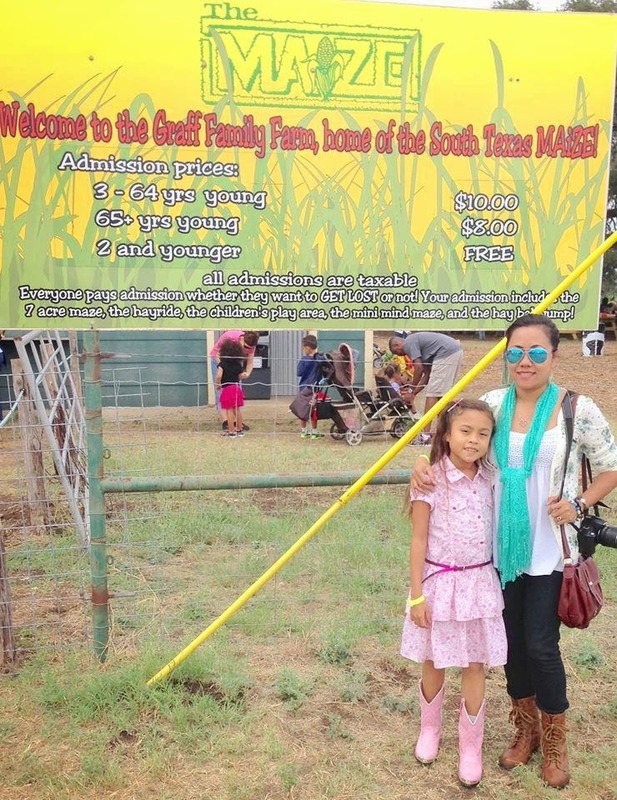 The South Texas Maize in Hondo opens for it’s 2014 season from September 27th thru November 30th. The farm is full of fun things to do and food to eat for the entire family. Aside from their famous 7 acre maze, they have Farmer Ken's Kiddie Korral, Goat Walk, Wiggle Worm Slide, Spider Web, Corn Poppers, Paw Paw's Pig Races, Hay Bale Jump, Cow Train and more. The South Texas Maize is an all outdoor activity taking place during the fall months. Be prepared to get lost on a fantastic 7 acre corn maze adventure. Kids enjoying the cow train ride. Daughter had a blast climbing and sliding on the MatterCorn. It's the tallest and longest slide in Medina County! The pig race show was very entertaining. Try your target shooting skills with their new apple cannons. Hay ride, pumkins, and helicopter? Only at South Texas MAiZE!!! Daughter decided to pick a smaller pumpkin this year. My family and I always have a pleasant visit every time we go to South Texas MAiZE and have never had a disappointing experience. I would highly recommend this place to everyone! For more details, you should visit their website today or you might want to like them on Facebook or follow them on Google+ for updates and promotions. So what are you waiting for? Disclosure: I received complimentary tickets from South Texas MAiZE through a partnership between South Texas MAiZE and the US Family Guide bloggers. We haven't gone to a pumpkin patch yet sis. La na kasing time during the weekend.. But we will try maybe next week. I would be all over that apple cannon. That is such a fun idea, I want to make one of my own! That looks like so much fun! My kids would love everything - from the guns to the slides to the farm animals! Looks like it was a blast.